DESCRIPTION: May 6, 2008. Boston, MA. 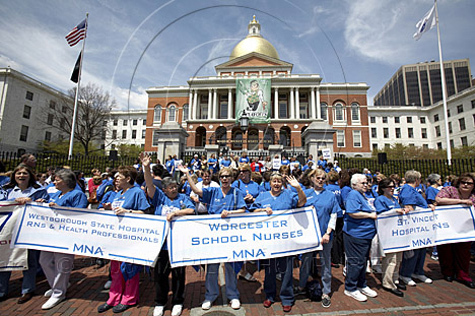 At the Masschusetts State Housse hundreds of nurses rallied for the Patient Safety Act which would require stae officials to set limits of nurses' assignment and prohibit mandatory overtime.